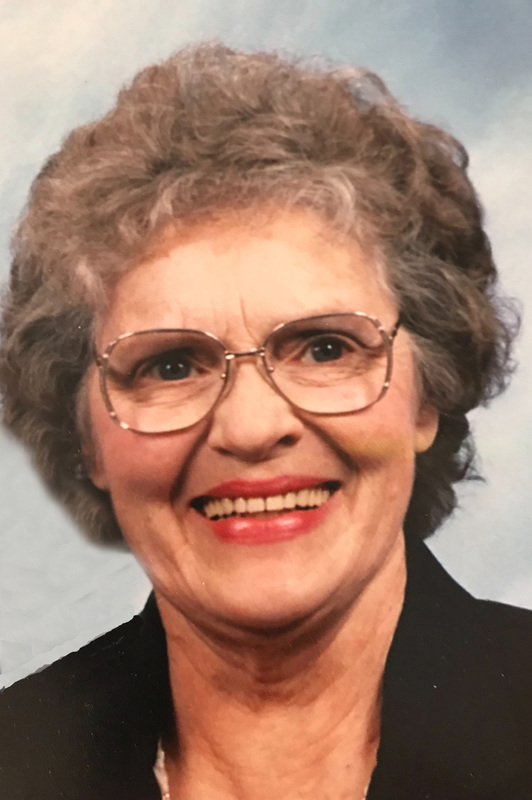 Myrle Barr Chastain passed away on January 18, 2019. Visitation will be held at Sycamore Hills Baptist Church, 15200 E. 39th, Independence, MO 64055, from 5:30-7 PM Tuesday, January 29th, followed by the memorial service. Myrle was born February 11, 1932 near Holt, MO. A graduate of Liberty High School, she later attended William Jewell College and was a member of the Beta Sigma Omicron Sorority. She would meet her best friend and husband of 63 years, Jack Chastain, at a WJC homecoming event. She graduated with a degree from the University of Oklahoma in 1986. She was a secretary at Raytown South and North Kansas City high schools, Holland Hall School (OK) and Avila University, as well as the office manager of Home Rug and Drapery. Myrle was a faithful servant and diligent student, seeking each day to bless someone else. She was a member of First Baptist Church of Raytown for 47 years and served as a Sunday school teacher, quilter, and VBS worker. She and Jack later became members of Sycamore Hills Baptist Church. She was an officer member of the Daughters of the American Revolution and volunteered for the Truman Library and Salvation Army. Myrle had a way of making people feel known and special, not a detail forgotten. Her mind was sharp and her spirit surrendered to Christlikeness. She was a beautiful woman in countless ways, and she leaves a lasting legacy. She was preceded in death by her husband, Jack Chastain, parents, Otto and Marie Barr, and brother, Russ Barr. She is survived by sons Mark (Karyn), Kirk (Julie); grandchildren, Hannah (Drew) Battleson, Nate (Nichelle) Chastain, Jessie, and Kamryn Chastain; great grandchildren, Brynn, Emlynn, and Ayla Battleson. In lieu of flowers, memorials are suggested to the Sycamore Hills Baptist Church building fund. Visitation will be held at Sycamore Hills Baptist Church, 15200 E. 39th, Independence, MO 64055, from 5:30-7 PM Tuesday, January 29th, followed by the memorial service. May the Lord comfort you at this time of loss. I must tell you how much I truly loved your mother (and your father). Your mother always made me feel special whenever we were invited to their house after church to visit and enjoy a homemade dessert. She would say "I don't have a little girl around here to fuss over". Thank you for sharing your mother with me. We know she is singing with the angels today. Rejoice! Jack and Myrle taught us so much, especially how to remain even-keeled during difficult circumstances, always trusting God. Myrle's love and care for our family made a profound difference in our lives. Her Godly graciousness and hospitality encouraged and inspired others. We are saddened for your loss but know that she is "Happy all the day". So sorry to only now find cousin Myrle's obituary (February 15). Have moved and new phone is in the directory (Wornall Road, KCMO). My condolences to all, especially Hannah who probably received the depression glass collection. Blessings and prayers.